A supervisor at the Energy Department’s international climate office told staff this week not to use the phrases “climate change,” “emissions reduction” or “Paris Agreement” in written memos, briefings or other written communication, sources have told POLITICO. I’ve got mixed feelings about this since we Pastafarians are also skeptical about accepted causes of Climate Change. 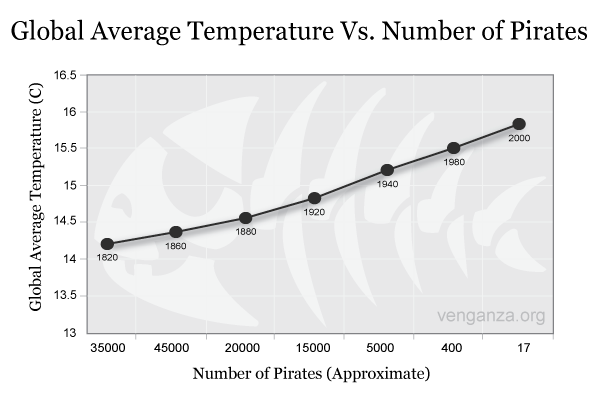 Years ago you’ll remember that we found a statistically significant relationship between the rise in average global temperature and the declining Pirate population. I’ll note that even after 10 years, this data still has not been dis-proven by the science community, which we interpret as implicit acceptance of it’s Truth. So we’re sympathetic to Team Trump’s misgivings of Established Science based on “evidence” and “peer-review” and so on. But, we’re also fans of not needlessly destroying the planet. And while we may not agree with the causes of Climate change, we believe it is happening. More, we Pastafarians are pragmatic. 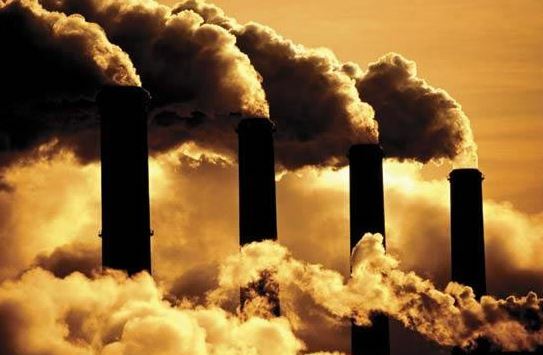 Even if you have some skepticism about Climate Change (perhaps all that data is being altered by a Supernatural being of some sort) — let’s maybe err on the side of reigning in pollution and old wasteful technologies with their excess CO2 production — and instead let’s support emerging technologies which can provide clean, renewable power. Not to mention jobs. For this reason, I think Team Trump and the GOP are acting like tools. Again, I hate to mention politics on our Church site, but I felt that we Pastafarians, as fellow science-skeptics, should say something. On the x-axis: 35000 and 45000 seem to have swapped places. Our Lord works in mysterious ways. Malthe, we use the same methodology as cutting-edge Creation scientists. Even with democracy if a gathering wins a majority, at that point they can totally stifle the thoughts of the minority. Imagine a scenario where there were one, or two, Assignment Writer smart thoughts inside the minority. It will rely upon the development of a specific nation or society how these things get took care of. There is a comparable event in climate ideology. Except that democratic does not mean monistic. ‘Qualifications’ obtained by cheating are worthless and dangerous. “…get took care of” ? Try looking at climatologists’ evidence. What is the position of the church on the recent rise of digital piracy. Surely this has been rising at the same time global temperature has been rising. Doesn’t this put our entire belief system at risk? No, Dan. Digital pirates are not true pirates. They may pretend to be pirates by wearing a tricorn or a stocking cap and going “Arrh!” while ripping a movie but they are not spiritually sailing a ship with creaking timbers and a salty breeze snapping the sails into a billow. Keith, I agree completely. Media ‘pirates’ are the scumbags that sell copies as genuine. I always make a copy of DVDs/CDs I buy and then only play the copy; likewise, recording something off TV/radio (who doesn’t have a VHS recorder?) for later use is not piracy (under Australian law), provided one doesn’t sell, share or rent the recording. Yes, there is a ratbag at the Gawler market (I’m talking about South Australia here) who sells pirated dvds. It seems to occur at many open markets and car boot sales. I try to avoid those people. Happy Pirates Day to all scurvy sea dogs. May yer bisuits never go rancid. May yer rum barrels ne’er leak and if yer wash yer socks more often the Kraken won’t be able to track ye down me hearties. FSM Loves us All. YAY! What are ‘socks’? Only the deck gets washed on my ship. Ok I think I understand your point of view on science however I think that you may be using correlation rather than causation techniques with the Pirate statistic. One could also blame the emergence of new technology that may allow for more security in international water as the cause for the downfall of pirates. Also I don’t understand how that statistic is relevant to argument of being skeptical of science. Not only this but the statistic you are using is an example of science. Thus, I don’t understand why you at the same time, condemn scientific studies, when you attempt to use science to support your own claim. Now I don’t mean to bully or harass with this comment. Really I just mean to facilitate some discussion.